I made this jam because next week my boyfriend and I celebrate our first anniversary. We are going pretty all out in a Steven Universe theme; we’re going to the places Beach City is based on, eating fries and pizza, going to the arcade, and hoping for a glimpse of Jasper (the babe). Since he did all of the planning for actually adventuring out there (and he will also be stuck with driving with the sleepiest creature on the planet), I decided to take care of themed snacks. One of my favorite episodes is Sworn to the Sword, so the main thing that I decided to make was biscuits and jam, because they’re jam buds! It doesn’t really seem like enough, right? But that’s really it. I started by Cutting the tops off of my strawberries, and mashing them rather intensely in a big bowl. Then, I switched gears a bit and popped my canning jars (opened, of course) into a large pot, with enough water to be an inch higher that the bottles. I set that on medium high heat, because it needs to be boiling for 10 minutes to be sterilized. Then, I put my mashed strawberries into another large pot (seriously you need massive pots for this), poured the lemon juice over them, mixed, then topped it with the sugar. Slowly stir this over a low heat until everything is mixed in and dissolved. Then, crank the heat to medium high and let it boil until it hits 220*F. Then you can transfer it to your hot, sterilized jars (I put mine on a cookie sheet and moved them with tongs; I found that it was very hot to the touch even with a heat barrier like oven mitts). 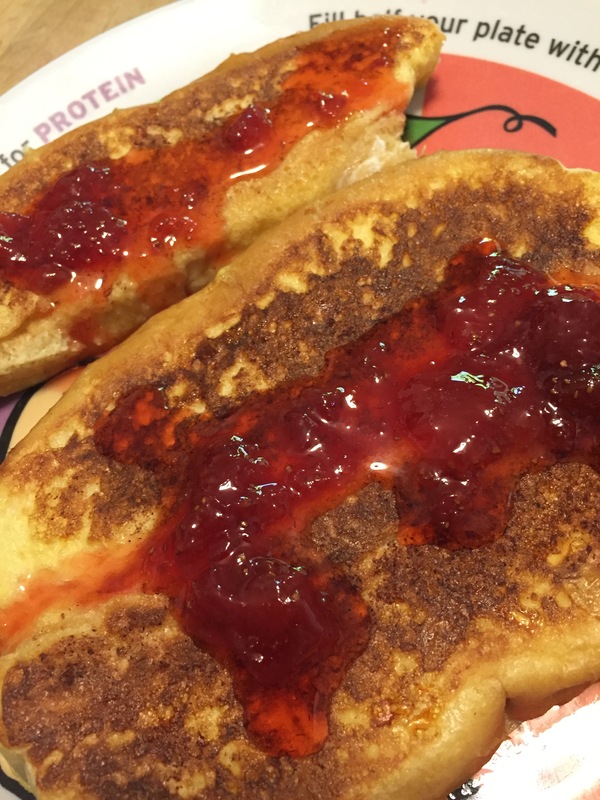 Jam on french toast? Yes please. After your jars have been filled with 2/3in left at the top, pop those bad boys in the fridge. It will take awhile for them to solidify a bit (and honestly they won’t get crazy solid like store bought jam or jam with pectin). And if I do say so myself, its incredible. 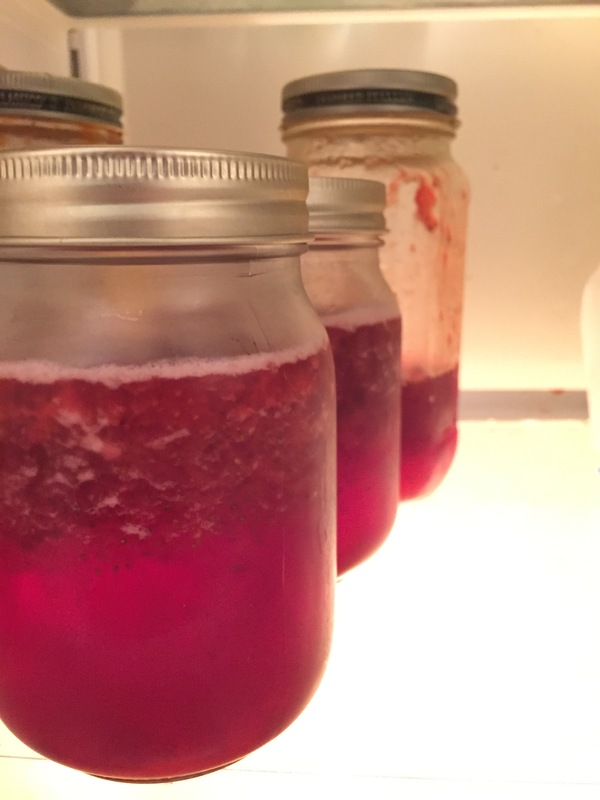 I think this jam is super delicious (I made enough for the anniversary plus a jar for home and an extra jar for the move), and I’m going to go have some of it for breakfast now. Happy cooking, Fangirls, and don’t forget to be safe while doing so! You don’t want hot strawberry jam bubbling up on you. Have fun!